These are some of the stories Houston Public Media is covering. 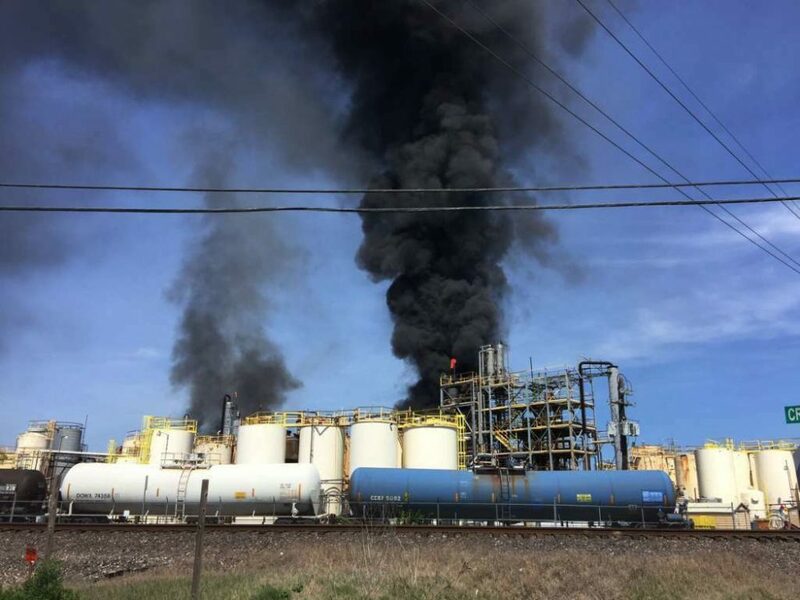 This photo from the Harris County Fire Marshal’s Office shows the fire at the KMCO plant on April 2, 2019. Harris County is suing KMCO over the explosion and fire that occurred at their Crosby facility on April 2. The county is arguing the petrochemical company violated both state laws and county regulations. The fire occurred at the facility located at 16503 Ramsey Road and caused one fatality and injuries to several workers. Several workers have also sued. Regarding those lawsuits, KMCO said in a statement to media outlets that until the facts are known, any legal complaints against the company should be considered unverified. County Attorney Vince Ryan filed the lawsuit last Wednesday, April 3, at the 269th Civil Court. On Tuesday, the Harris County Commissioners Court ratified the litigation and authorized funding for the legal case. The lawsuit alleges KMCO violated the Texas Clean Air Act, as well as the state’s Solid Waste Disposal Act and Water Code. In addition, the county argues the company may be in violation of Harris County’s floodplain and storm water regulations. Dimitrios Pagourtzis, the suspected shooter of the May 2018 Santa Fe High School mass shooting, is facing 11 federal charges after federal agents took him into custody on Monday. 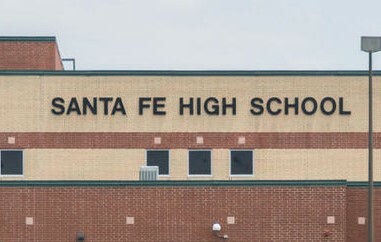 Pagourtzis, 18, is accused of killing 10 people and wounding 13 others at the Santa Fe High School on May 18, 2018. He already faces state charges of capital murder and aggravated assault of a public servant. Pagourtzis’ defense attorney Nicholas Poehl said federal prosecutors have filed 11 charges against his client. Poehl said he doesn’t know specifically what federal charges were filed because that case is sealed. Federal law prohibits public hearings for juveniles. Pagourtzis was 17 when the shooting occurred. In March, federal prosecutors had said they wouldn’t pursue charges against the teenager at that time. Commercial waste, including tires, buckets of oil and cans of brake fluid, line Brays Road in Magnolia Park. 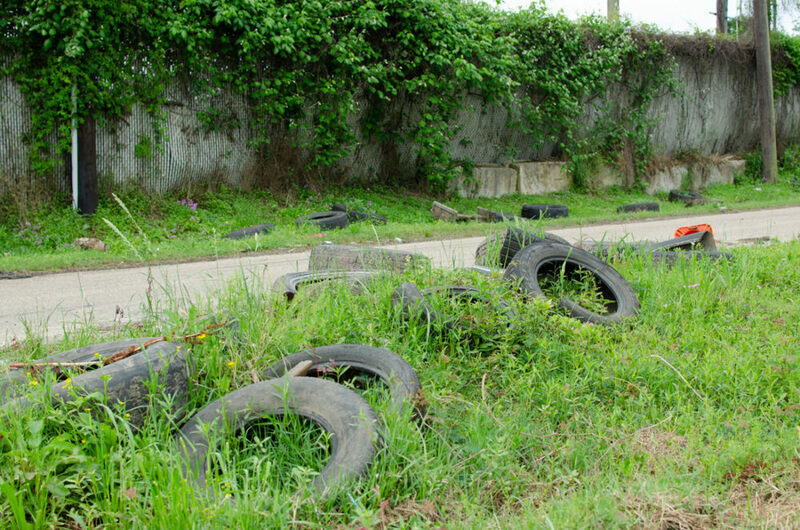 The city of Houston aims to respond to 3-1-1 calls about illegal dumping within 29 days. But it missed that target more often than not in 2018 — it only resolved about 35 percent of dumping complaints on time, according to data from the city’s 3-1-1 website, analyzed by News 88.7. About 65 percent of complaints went overdue – sometimes languishing for well over a month. More than 10 percent of cases took over six months to resolve. The situation is worse in poorer city council districts, especially District D and District I, which are two of Houston’s poorest districts by median household income. In District I, 82 percent of calls went overdue last year and the average claim took 117 days to resolve. That includes Hobby Airport, the East End and Downtown. In Pecan Park, the average claim took over five months to resolve — the longest response time of any of Houston’s super neighborhoods. President Donald Trump will visit Texas on Wednesday to announce executive orders to streamline energy projects and expand oil and natural gas production in the United States. 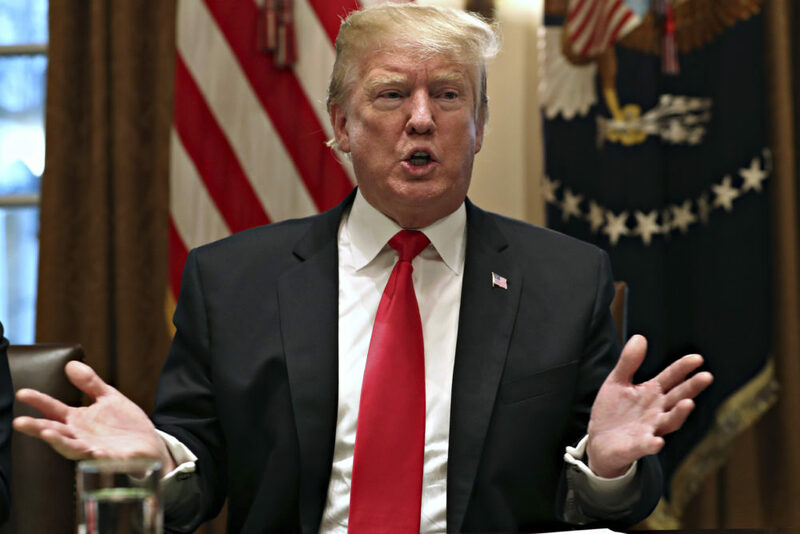 Trump will visit the International Union of Operating Engineers International Training and Education Center, a union-run facility located in Crosby, about 25 miles northeast of Houston. A White House senior official told the Houston Chronicle that the executive orders aim to speed up permitting for energy companies. Companies specialized in the pipeline sector have asked the president to use his executive power to prevent states from blocking multi-million dollar projects, according to the newspaper. Oil and gas production is setting records in the U.S. and Texas leads the sector’s growth.